MONTREAL, QUEBEC--(Marketwired - April 29, 2016) - Urbanimmersive Inc. ( "Urbanimmersive" or "UI") (TSX VENTURE:UI.V), the real estate content marketing marketplace, is pleased to announce the signing of a reseller agreement with the marketing web agency NIVII. The reseller agreement will allow NIVII to integrate Urbanimmersive's content management system and marketplace solution to its web service offerings. Using an API (Application Programming Interface) developed by Urbanimmersive, real estate website developers can now integrate a white labeled content management system of Urbanimmersive into the real estate blog of their customers. In doing so, their customers get access to all features and services of Urbanimmersive's real estate content marketplace specifically designed to simplify production, collaboration, management and publication of real estate content. 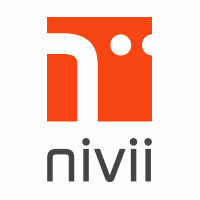 NIVII is a web marketing agency based in Quebec with over 100 customers with major brands. The agency is active in the real estate industry serving home builders. NIVII is a Certified Google Partners. Urbanimmersive is a content marketing marketplace for real estate professionals. The Company connect real estate professionals, photographers and writers in order to simplify and optimize original content production workflow. Urbanimmersive enables is customers to leverage their marketing investment while increasing productivity, competitiveness, their web visibility, consumer engagement with their brand and ultimately, their revenue.